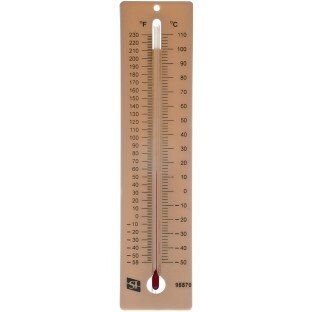 Tube of this red alcohol thermometer is recessed in molded plastic to prevent breakage. Can be immersed in hot liquids without the danger of burning students' hands. Tube measures 13cm.